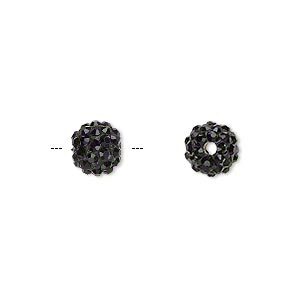 Bead, glass rhinestone / epoxy / resin, black, 12mm round. Sold individually. Item Number: H20-A1015GL Have a question about this item? Egyptian glass rhinestones are applied by hand for eye-catching high-quality beads with extreme sparkle. Featuring a lightweight resin core, the beads are created in a multi-step process: First, the bead is pressed, then covered in two-part epoxy. Next, the rhinestones are hand-applied and the bead is set aside to dry. Once dry, each bead is inspected for quality. Sizes, shapes and colors may vary with handcrafted items. 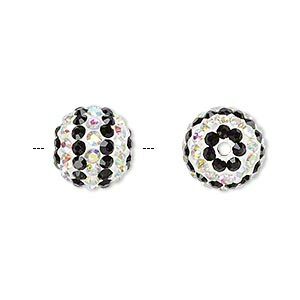 Bead, Egyptian glass rhinestone / epoxy / resin, white / clear / black, 12mm round with pavé striped design. Sold individually. 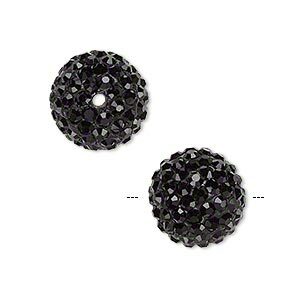 Bead, glass rhinestone / epoxy / resin, black, 10mm round. Sold individually. 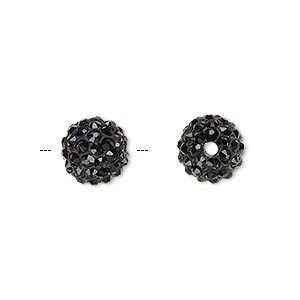 Bead, glass rhinestone / epoxy / resin, black, 8mm round. Sold individually. 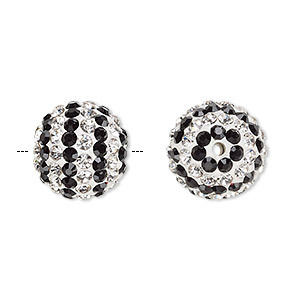 Bead, Egyptian glass rhinestone / epoxy / resin, white / black / clear AB, 12mm round with pavé striped design. Sold individually. 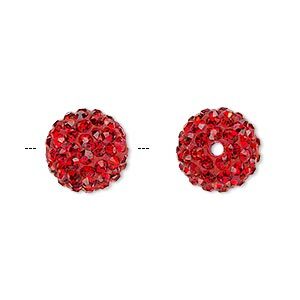 Bead, glass rhinestone / epoxy / resin, red, 12mm round. Sold individually. 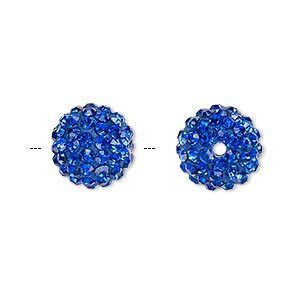 Bead, glass rhinestone / epoxy / resin, cobalt, 12mm round. Sold individually. 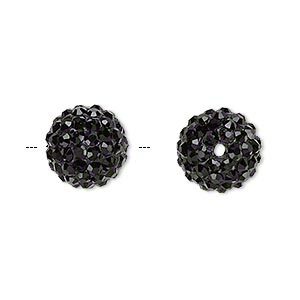 Bead, glass rhinestone / epoxy / resin, black, 14mm round. Sold individually. 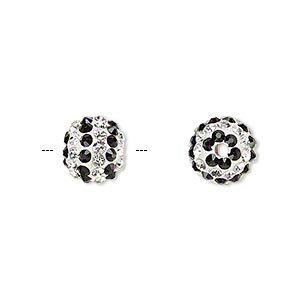 Bead, Egyptian glass rhinestone / epoxy / resin, white / clear / black, 10mm round with pavé striped design. Sold individually. 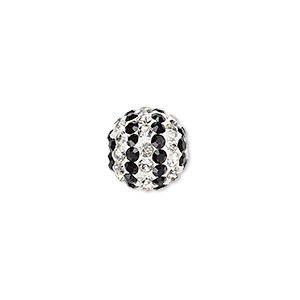 Bead, Egyptian glass rhinestone / epoxy / resin, white / clear / black, 14mm round with pavé striped design. Sold individually. Bead, glass rhinestone / epoxy / resin, champagne, 12mm round. Sold individually.